Course Description: Ethics and professionalism remain core values critical to the practice of dentistry. Oral health care providers are also guided by laws and other legally mandated obligations that impact communication, decision-making and professional services. Ethics provide a basis for many of the laws that impact the dental profession. Ethics and legal obligations can be synergistic or create conflicts that result in a dilemma for a provider. This presentation provides an overview of key legal concepts important to dental professionalism in light of ethical obligations. Specific examples of legal and ethical parallels, intersections and barriers will be highlighted. Review key ethical principles important to dentistry. Analyze and discuss cases that demonstrate the integration of ethics and law in private practice. VCU School of Dentistry is an ADA CERP Recognized Provider. ADA CERP is a service of the American Dental Association to assist dental professionals in identifying quality providers of continuing dental education. ADA CERP does not approve or endorse individual courses or instructors, nor does it imply acceptance of credit hours by boards of dentistry. VCU School of Dentistry designates this activity for a total of 2.00 continuing education credits. Professor Pamela Zarkowski is currently Provost and Vice President for Academic Affairs at the University of Detroit Mercy. She earned a Bachelor of Science, a Masters of Public Health in Dental Public Health and a Teaching Certificate in Community Dentistry from the University of Michigan and a Juris Doctor from Wayne State University. An educator for 39 years, she has served in various administrative roles and continues to teach predoctoral, graduate and dental hygiene students. She has held various leadership roles in national organizations, provided workshops and published in the area of legal and ethical issues for dental and health professionals. 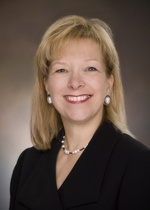 She is past president of the American Dental Education Association, Society for Executive Leadership in Academic Medicine and the American Society for Dental Ethics. She is an honorary member of Omicron Kappa Upsilon and an honorary fellow of the American College of Legal Medicine. In 2011 she received the Distinguished Service Award from the American Dental Education Association. Most recently she was honored by the ADEAGies Foundation as the 2017 recipient of the Gies Award for Achievement – Dental Educator. In accordance with the ADA CERP Standard V, everyone involved in planning or presenting this educational activity will be required to disclose any relevant financial relationships with commercial interests and this information will be made available to participants at the start of the activity. As a continuing education provider, the VCU School of Dentistry Office of Continuing Education is responsible for ensuring the content, quality and scientific integrity of all continuing dental education activities for which credit is provided. We are also responsible for taking steps to protect against and/or disclose any conflict of interest of the faculty/instructors presenting those courses. Registration open through 2/27/2019 11:59 PM EST. Registration is required for all attendees.